A condenser in an air conditioning system in a car is what gives you the cool air from your AC vents when you turn the air conditioner on. It is a vital component in an air conditioning system which acts as a heat exchanging unit which releases the heat, unlike a radiator, the job of which is to absorb the heat from the engine coolant and keep dispensing the heat out in the atmosphere to keep the engine running cool. The condenser looks a lot like a radiator, having fin-like tubes inside but they are made a bit thinner than radiators as its task is to release heat rather than absorbing it. Ac condenser is designed to actually release the heat which the refrigerant absorbs when the air flows through the evaporator. From there, the refrigerant becomes high-pressured vapours as it enters the condenser, cooling down as it flows through the condenser. That transforms it back in a cool high-pressure liquid. Because the condenser acts as a heat dispensing unit, lots of heat is given out during the conversion of gas to liquid to produce that cool liquid which would then give out the cool air. To keep the condenser cool, a fan is fitted directly on the face of the condenser which maintains the temperature. It is critical for the fan to work when it’s needed otherwise heat can ruin the condenser. That being said, if the condenser happens to heat up too much, it will not be able to transform the refrigerant needed to cool the air. To prevent overheating, AC condensers are fitting with a fan which turns on if the temperature gets high enough. Often times the AC condenser can go bad, the effect of which can be directly felt when turning on the air conditioning. Here are a few symptoms to look for to determine if your AC condenser needs repair or replacement. Since the condenser is one of the main parts of a car air conditioning system, without it the system would fail to perform as it should and its effects can be dangerous to other parts of the engine too. The first and foremost sign to look for. This is rather straightforward to diagnose that, upon switching the cooling system on, if the air doesn’t cool, there could be a problem with the condenser. Besides not cooling the air at all, if you feel that your car’s air conditioning unit is giving out lukewarm air from the AC vents, this could mean that the condenser is overheating and unable to covert the refrigerant into the cool high-pressure liquid required to cool the air. This could mean that the condenser fan was not working in the first place which caused the overheating. When a burning smell can be sensed during the operation of the air conditioning unit, the condenser fan has failed and caused the condenser to heat up beyond its limit, since the fan is not working and the excess heat is not being dispensed from the condenser. After you turn on the air conditioning, the fan should come on in a few seconds. Usually, AC fans frequently switch on and off automatically as the temperature level rises and subsequently drops. If you see that your fan doesn’t turn on even if your engine’s temperature rises, it is likely that your fan is faulty although it could be a burnt or faulty wiring as well, which could be preventing the power to the fan. and you know how to use it, you can check if your fan is getting any power at all or not. This will help you determine whether your car’s wiring is bad or the fan itself is damaged. Since the fan is basically mounted on the face of the condenser, often time’s dirt and debris build-up which can easily clog the condenser and block the fan. 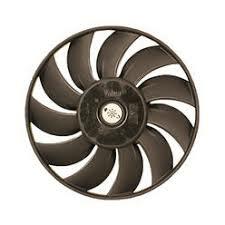 If you see that your condenser and fan is dirty, you will need to get it serviced. It is easy to detect a bad condenser fan but you’ll need to consult a good mechanic to get your AC fan repaired or replaced. Although it’s advised to replace the fan if it has been damaged. Depending on the make and model of a vehicle, an estimated average cost of switch replacement goes range from $400 to $500. The labour cost can range from $50 to $100. You do normally fill your ac system again after a replacement, an additional 100$.